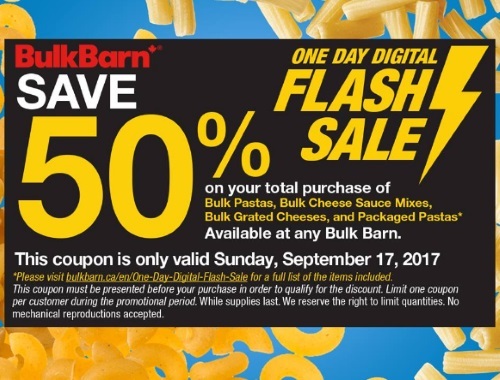 Bulk Barn has a new one-day digital flash sale! Save 50% off your total purchase of bulk pastas, bulk cheese sauce mixes, bulk grated cheese and packaged pastas! Coupon must be presented at time of purchase, show it on your mobile device. This coupon is valid only on Sunday, September 17 2017.